Sam Connelly could be described as a motorbike riding, robotics obsessed, girl geek. She is a Test Engineer at EPAM Systems; she prefers ‘quality activist’, or even ‘product risk identifier’ as her title. Mobile Explorative testing is her speciality and she is also the Leader of the Sydney Testers meetup group. Sam credits a technical background and a curious mind as being her major drivers in her pursuits. 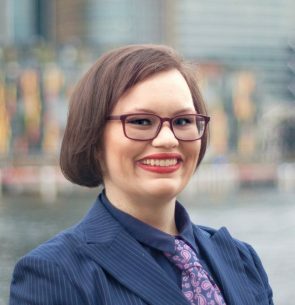 She has previously hosted her own community radio show and started a Robogals chapter in Tasmania.